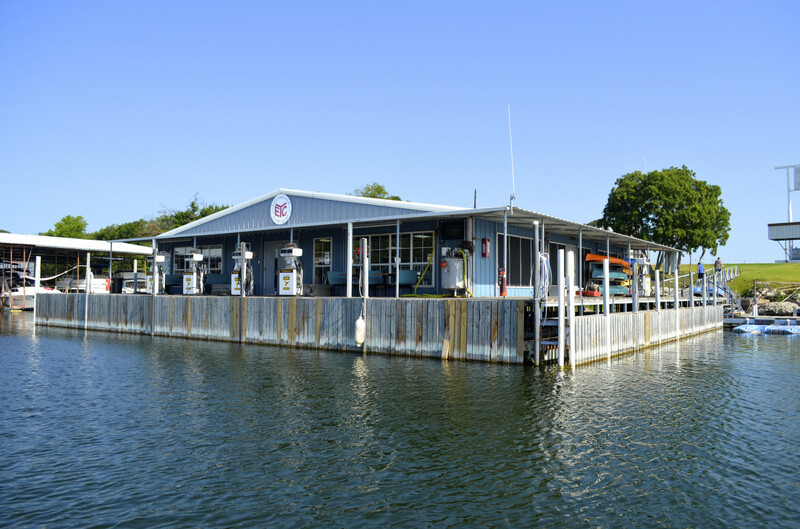 Beginning in 1966, Lacy and Dorothy Harber, who always loved being on the water, started making investments in small marinas on Lake Texoma. After purchasing other marinas in Lake Texoma they saw an opportunity to purchase the struggling Eisenhower Yacht Club (EYC). In 1969 they made the purchase and lived on site while building up the company. With the purchase of EYC, Lacy and Dorothy inherited Floyd “Wally” Wallace, a man who had worked for three previous owners. With some skepticism, Wally agreed to continue working for Lacy and Dorothy where he remained until he passed away in 2012. Lacy and Dorothy’s grandson James Harber grew up around EYC and at age 11 started doing small chores to make a little money. Over the years James worked the gas dock, service center, and office and by 2008, he took on the managing director position over all 13 of Lacy and Dorothy’s corporation marinas. At the same time, he also began to manage EYC directly. In 2011 James married Lindsay Loe and since then they have managed EYC, as did Lacy and Dorothy over 44 years ago. Adding to their team, Marty Ulmer was hired in 1994 as a mechanic and was later promoted to general manager in 2001 where he remains to this day. Our mission at EYC is to provide efficient first class service at reasonable costs to the community and visitors or Lake Texoma. We are dedicated to providing our customers with the ultimate family oriented lifestyle in a casual marina environment. Each of our staff strive to achieve 100% customer satisfaction by embracing professional standards that reflect honesty, integrity, and a caring attitude.